An active performer, author, and teacher, Ms. Yost comes with a nationally recognized name attributed to her published works, conference presentations and level of students. 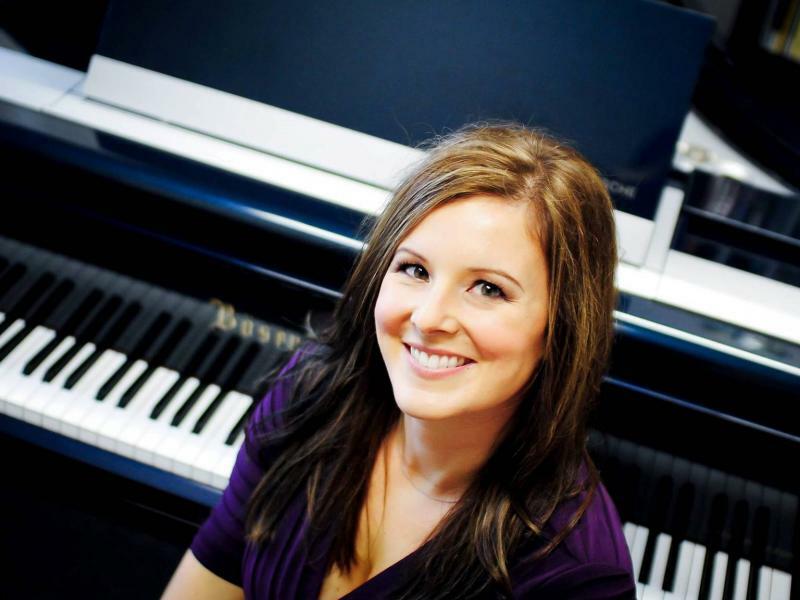 In 2006 Ms. Yost graduated with a Master’s Degree in Piano Performance and Pedagogy from Southern Methodist University studying under internationally renowned pianist, Alfred Mouledous. In that same year she also became a Nationally Certified Teacher of Music (NCTM), establishing herself as a professional music educator. In addition to being a competition winner herself, Ms. Yost was also the musical coach for the 2009 and 2010 Miss Teen Texas Talent Winner, and in 2010 had two students win the Roland Piano Festival Southern Region, advancing them to nationals in Los Angeles, California. Her professional highlights include state-level and university competition wins, awards, scholarships, academic and performance honors, as well as published works in several periodicals across the country including Clavier Companion, The Music Teachers Association of California and The American Music Teacher. Ms. Yost has received awards from the University of Wisconsin-Eau Claire that include Outstanding Senior in Music Award, the Ada Bors Service Award, Sigma Alpha Iota local and regional awards, the Ruby Sword of Honor, the Sempre Fidelis Award from the United States Marines, and numerous academic and performance-based scholarships throughout her career. Ms. Yost has played regularly with Celebration Jazz Orchestra in Norah Jones’ old spot, and has performed for numerous politicians such as Texas Senator Kay Bailey Hutchinson, Minnesota Governor Tim Pawlenty, Secretary of State Hillary Clinton, and Former Senate Majority Leader Tom Daschle. As the founder of The Centre for Musical Minds, Ms. Yost does not come without extensive leadership experience. She has brought herself and the Centre for Musical Minds to an international audience by her presentations across the United States and Europe. Ms. Yost has served on various committees and boards throughout several states. Most recently, Ms. Yost was on the planning committee for The National Conference for Keyboard Pedagogy - the world’s most respected conference for pianists and piano teachers.